Michael Peca wants to jump aboard the Rangers' bandwagon. He expects to find out today whether the feeling is mutual. His agent is not negotiating with any other team. Taking a look back in history, Peca was drafted in the 2nd round, 40th overall by the Vancouver Canucks in the 1992 NHL Entry Draft. Peca has twice won the Frank J. Selke Trophy for being the best defensive forward, in 1996-97 and 2001-02. He was a member of the gold medal-winning Canadian ice hockey team at the 2002 Winter Olympics in Salt Lake City. He was acquired by the Edmonton Oilers in a trade with the New York Islanders in exchange for Mike York. Peca was part of the "Cinderella" Edmonton Oiler team that made a run to the Stanley Cup Finals. Peca had 6 goals and 5 assists in the 2006 Playoffs. On July 18, 2006, the Toronto Maple Leafs announced that they had signed Peca as a free agent to a One-year $2.5 Million dollar contract for the 2006-07 NHL season. During a game against the Blackhawks on December 22, 2006, Peca collided with Chicago defenseman Jim Vandermeer in the Toronto zone with 5:17 left in the first period. Vandermeer was assessed a minor penalty and a game misconduct for the hit. While Peca went down hard and it was determined that he sustained a fractured tibia at the base of his right knee and also suffered significant ligament damage. Peca missed the remainder of the 2006-07 season. 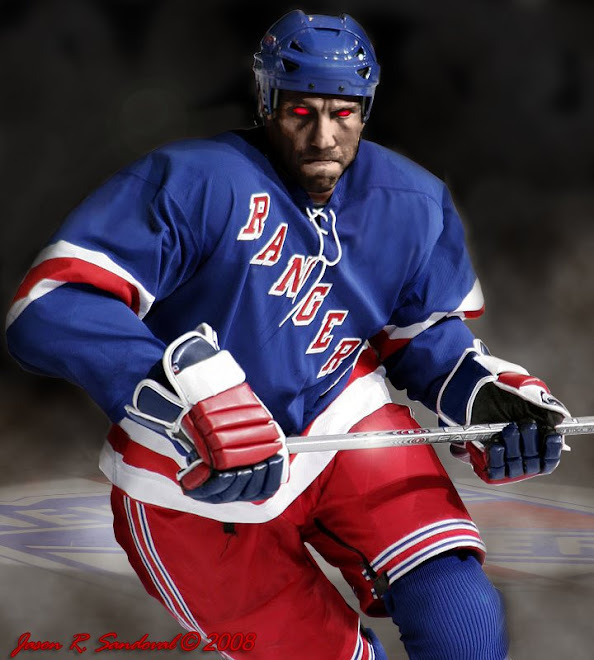 The Dark Ranger questions whether or not we would be acquiring another healing veteran who will play at 75%. We have already lived in that world with Jag's damn shoulder for almost a season. Though, Peca is tough and would close any third-line center questions for training camp. Dark Ranger-You must stop begging, its very unhockeylike. Put a hit on the guy or put a curse on him. However, you are right, he has to go. I also think Peca would fit in nicely. Yea I got no gripe with getting Peca. Even if he does go down with an injury or turns out to be a bust its not the end of the world, it's not like we're really relying on him, a rookie should step into the spot nicely. If he does stay healthy he'd be great on the third line and especially the penalty kill and I don't think we'd lose a faceoff all year throwing out Gomez, Drury, Peca and Betts up the middle. The problem with Peca is that you're going to pay him $1.5-$2m and this is the second time he's had a debilitating knee injury. Look at it this way, Peca wanted to play in Toronto this season and the Leafs weren't interested. That should tell you that the Rangers shouldn't want him either. Ranger Pundit..sorry about the begging, I was doing my best Darcy Tucker impression (gotcha chemmy)! Chemmy...sounds to me that if Peca is only talking with the Rangers, and after an injury season, he may be willing to sneak-in on the lower salary echelon (plus bonus for performance and re-signing option). Right now, including you, no one believes in his worth and he has to change that perception. Peca seems like he would be a perfect fit in NY. With Drury and Gomez there would be no pressue on PEca to score (which i don't think he can do much of anymore), however he can focus on checking and defense which he still can do.